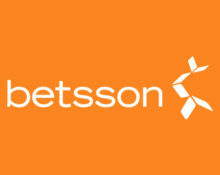 Betsson – Black Friday Deals! 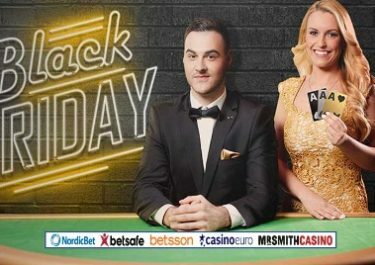 Superb offers for the ‘Black’ weekend! And the sale is on! Exclusive for players from Norway, Sweden, Finland, Netherlands, Germany, Austria, Switzerland, Poland, Iceland, Peru or Brazil. Do not miss these fantastic deals at Betsson. Free Spins on Twin Spin, Mobile & Desktop Bonus, Cashback – the choice is yours. Play your heart out until Sunday and make use of 4 generous deals, simply for wagering on some great games. Black Friday is going to be very rewarding! Players from Norway, Sweden, Finland, Netherlands, Germany, Austria, Switzerland, Poland, Iceland, Peru or Brazil can use any or all offers once during the promotional period. The Mobile Bonus can only be selected when logged in on a mobile device. OPT-IN is required for each offers. Free Spins, Mobile & Desktop Bonus are credited instantly, Cashback will be credited on Monday, 28th November 2016.